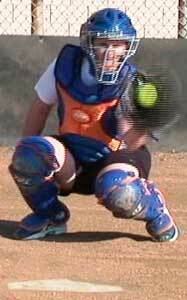 To help your catchers improve their framing have them work on catching the “outside” part of the ball. Start them with their glove off and just working on hand position to the ball from a short distance using easy tosses with Zip Balls or tennis balls. Make sure the catcher always keeps the Glove-Ball-Plate relationship from the outside working back in toward the plate.